Moving to Brazil can be made easier with the help of moving companies that don't only handle shipments, but also offer extended services such as providing visa processing and more. 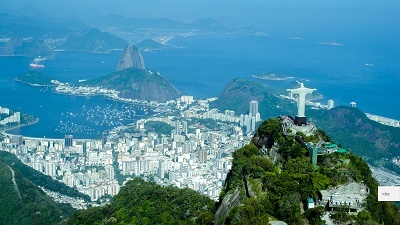 Brazil is the world's fifth largest country with a population of over a hundred million people with an ever-expanding number of expatriate residents. Assignments to Brazil can be challenging by the combination of high cost of living, distance to family and friends and culture adjustment. On the other end, a strong currency might be for those in a posting with local contracts. It has been said that Brazil has been sleeping for quite some time, and the dream of Brazil being “The Country of Tomorrow” has not yet been realised. However, thanks to the “Plano Real” plan, this South American Giant has plenty to offer expatriates. Occupying most of the eastern coast of South America by geographical area, Brazil is the fifth largest country in the world with a total area of 8,514,877 square kilometres. It shares borders with most South American countries. The country is delicately shaped with the Amazon basin in the North and Brazilian Highlands in the Southeast. Brazil's winter season starts in July and lasts until September, with a humid summer starting in November and ending in March. In Latin America, Brazil has the largest national economy with a GDP growth of 5.7% in 2008, dominated by the country's agricultural, mining, manufacturing and service sectors. Brazil's presence is now felt in the international market due to its booming export industry as the world's leading exporter of sugar, coffee, beef and orange juice. Brazil's other export goods include transportation equipment, iron ore, soybeans, footwear, motor vehicles, and tropical hardwoods. Its trade partners are the United States, Argentina, China, and Germany. Due to a stabilisation plan called "Plano Real," the launch of a new currencyReal, brought inflation under control, and the removal of foreign investment barriers led to the re-awakening of this South American Giant. Regarding market exchange rate, Brazil has emerged as the world's tenth largest economy. The country features an employment rate of 67%, and its diverse industry ranges from automobiles to steel to petrochemicals and aircraft production. Also, Brazil is one of the world's leading producers of hydroelectric power. Like many other developed countries, Brazil has an apparent crisis with the teeming population. It ranks fifth in the most populous nation in the world. At present, the total population is at 203, 384, 242 with an expat population of 0.30%. Brazil has an average population density of 22 per square kilometre. 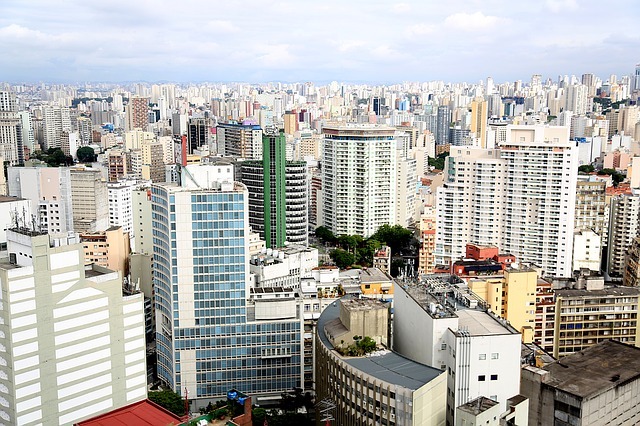 Brazil's business capital, São Paulo, is the largest and richest city with 11 million inhabitants and is the most populated metropolitan area in Brazil. Expats find that they can easily adapt to Brazil's diverse culture, especially with the welcoming hospitality traits of the Brazilians. Being religious is an innate quality amongst the Brazilians; they dutifully follow Catholicism - giving up meat, alcohol, and other indulgences during Lent. The spectacle of carnivals or carnival is an annual festivity that marks the start of Lent and normally begins on the Friday before Ash Wednesday. These carnivals are not just held in the "Carnival Capital of the World," Rio de Janeiro but celebrated widely throughout Brazil in a variety of styles. This Portuguese-speaking nation is home to diverse wildlife. Amazon Rainforests cover 60% of Brazil and contain one-third of all living species. In 2008, the New Seven Wonders of the World Foundation short-listed the Amazon rainforest as one of the New Seven Wonders of Nature. The Brazilian government combines democracy and federalism and is divided into 26 states and one federal district. The national capital, Brasilia, is the venue for political events and serves as the seat of all three branches of the government. As an export-oriented economy and a leading producer of ethanol, Brazil has certainly awoken from a deep slumber to become one of the important exporters in the world market. When relocating to Brazil, every expat’s packing list should contain the things that must be brought- including maintenance medicines, original and duplicate copies of all important documents and other personal paraphernalia. 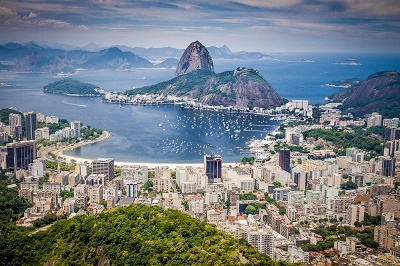 Most of what new expats need can be found in Brazil, so overseas shipping may not be necessary. However, there are many shipping and removals companies that can ease the burden of relocating to Brazil. One can find moving companies in Brazil using online directories like the Yellow Pages. A majority of landlords speak their Portugues, the country’s local language. One of the easiest ways to find an accommodation is to hire the service of a real estate company. Expats can inquire in the Brazilian consulate/embassy in their home country for a list of brokers in Brazil. They can usually provide a couple of names or companies where foreign assignees can find agents who can speak their language and Portuguese. Bring enough money to get by on in case of emergency. If you don't have all of your money exchanged to the Brazil Real yet, it would be safer to carry a widely-accepted currency like the US dollar, so you don't need to find foreign exchange centres each time you need cash. If you are taking specific medicines, it would be wise to have stocks to last, although medicines are widely available over the counter in Brazil. Pharmacies should have at least one licensed pharmacist. Know the generic labels of your drugs since many of them are named differently. It is also advisable to carry with you a letter from your physician describing your medical condition and the medications you require. Mosquito repellents and insect bite balms are also essentials, as well as sunblock and sunglasses. Should you want to bring in more than the necessary items, make a mental note of what is and is not duty-free. Items under the duty-free scheme: personal belongings such as apparel, toiletries and other strictly personal items; books, leaflets and periodicals; newly purchased foreign goods worth a total of US$500.00 and; US $500.00 worth of goods acquired on arrival in airport duty-free shops. For your gadgets, an electric plug adapter might come in handy. As mentioned above, numerous international moving companies service expats who are going to relocate to Brazil. There are two options to ship the expatriate’s belongings: by air which typically takes one to three days or by the sea which is around 20 – 25 days. Containers sent by sea freight will arrive in Port Santos in São Paulo where local customs officials will inspect the cargos before getting delivered to the owners’ addresses. 20ft container (contents of three-bedroom house) - €3,200 to €3,600. Contents for a one-bedroom apartment - €2,100 to €2,200. Brazil is considered as one of the largest nations in Latin and South America with a current population of 2.5 million people. With the Atlantic Ocean on the East, it is famed for its white sand shorelines and pristine beaches. Brazil’s overwhelming expat community proves that it's one of the most sought-after destinations in the world. Brazil is no mediocre when it comes to natural beauty. Its virgin rainforests, vast jungles and miles of wide rivers are just a few of the many reasons why it has always been regarded as one of the most beautiful places on Earth. However, preparing to start a life in this highly diversified country requires more than just flipping through some tourism brochures or websites. There is definitely more to Brazil than meets the eye and here are some factors that can surely help every expat moving to the country. tudo bom? / como vai? – How are you? Me chamo.. – My name is..
Brazil is known for its tropical climate which is classified into five different subtypes: equatorial, subtropical, highland tropical, temperate and semiarid. Each region of the country experiences various types of climate and weather so expats must be aware of the climate in their chosen destination to know which clothes to pack or how to prepare for the sudden change of environment. The cities of Rio de Janeiro and São Paulo are located in the south-east region of Brazil where the summer occurs in January. During this season, the temperature ranges from 30⁰ to 40⁰ C especially on the western part of São Paulo. Winters usually last for six months and can get extremely cold where the temperature can drop to 8⁰. Try to blend in as much as possible. As with any destinations abroad, tourists have always been a magnet to the bad guys. Dress like the locals by wearing shorts, or light-weight garments that fit the country’s tropical climate. Refrain from speaking in English or foreign language in a loud manner. Learn some basic Portuguese languages before arriving in Brazil to avoid looking like a newcomer. When lost, it’s best to go to the nearest Delegacia de polícia (police station) instead of asking around randomly. Kidnapping occurs regularly in Brazil and often takes place outside schools, banks and ATMs. Though the country enforces a high level of security by deploying officers in those locations, expat parents should stay vigilant for their children’s safety. The golden rule ‘don’t talk to stranger’s’ perfectly applies here and should be taught to every kid. And last but not the least, avoid wearing expensive or flashy jewellery when using the public transportation when going to work because it attracts unwanted attention. Expats should always be mindful of their belongings since pick-pocketing is common in the streets.